What happens when your new roommate turns out to be a crap wizard? Oh, and you find out you’re a reluctant wolfman? 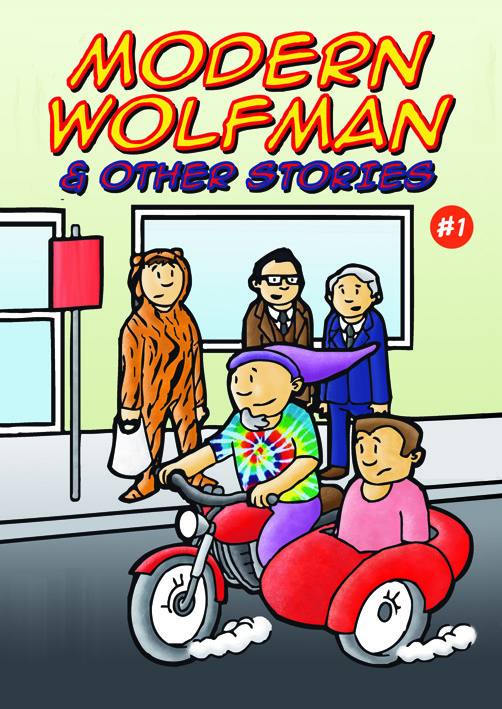 Find out in Modern Wolfman by Alan Boon, a 24-page b&w comic book sitcom with wendigo grocers, alternate universes, and hot lusty action! Also, Primark Tiger Boy gets mistaken for a superhero, and Generic & Ernie open the Masterpiece Joke Theatre.